You can apply for a full-time course starting in 2019 through the Universities and Colleges Admissions Service (UCAS). You’ll need the LSBU institution code L75 and the unique UCAS code for each course. If you submit your UCAS application by 15 January, you will usually know your offers by the end of March. Read about key UCAS application dates and deadlines. If you're applying for a part-time course, you can apply online directly to LSBU. Health students applying for part-time courses can find specific details on how to apply on your course page. Employer sponsored students on part-time courses can apply online directly to LSBU. 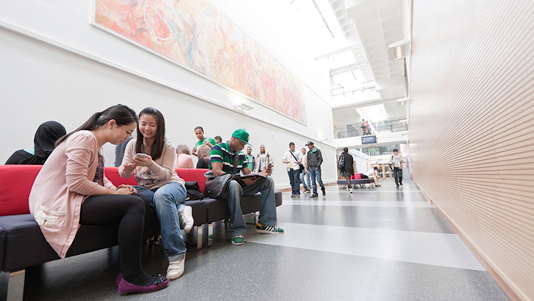 International students (non-EU) can apply direct to LSBU. Visit the International how to apply page for more information. If you require a Tier 4 General Student visa to enter or remain in the UK you would not be eligible for part-time study. If you have a disability, dyslexia, medical or mental health condition please tell us on your application form. Our Disability and Dyslexia Support (DDS) will send you a questionnaire to understand how your disability affects your ability to study and what reasonable adjustments, such as extra time or enlarged text, you need to support your studies. If you did not indicate you had a disability at the time of applying and want to do so now, contact DDS on 020 7815 6405. If you have a disability there is additional government funding available through the Disabled Students' Allowance (DSA). If you’re a Looked After Young Person or a Care Leaver applying to us or wondering what your next step could be, then we can help.